*Thanks to the First Amendment, rapper Rick Ross has shot down a lawsuit from a former drug kingpin who ruled Los Angeles during the 1980s, according to The Hollywood Reporter. 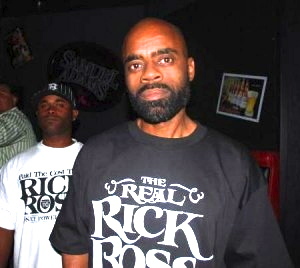 “Freeway” Ricky Ross, who once sold as much as $3 million worth of cocaine a day, had ties with the Nicaraguan Contras and became the object of scorn for many prominent politicians during the Iran-Contra political scandal. He served 13 years in prison, and before he was released in 2009, came across a magazine article about “up-and-coming” rappers including William Roberts II, whose stage name was Rick Ross. Now released, and by many accounts a model citizen these days, “Freeway” Ross has been pursuing Roberts in court for appropriating his name and likeness. Other defendants in a $10 million lawsuit included Warner Bros. Records, Universal Music and Jay Z as those who allegedly helped the hip-hop star hit it big with a stolen identity. At the trial court, though, “Freeway” Ross struggled with a technical issue. The plaintiff had known about the rapper since at least 2006, but didn’t file his lawsuit until 2010. As such, his claims were deemed by a judge to be untimely. Last week, a California appeals court issued its ruling and decided to open things up beyond “Freeway” Ross’ challenge. Judge Roger Boren says he is “not convinced” that the trial court was correct in its rulings, but nevertheless affirms the dismissal on First Amendment grounds. 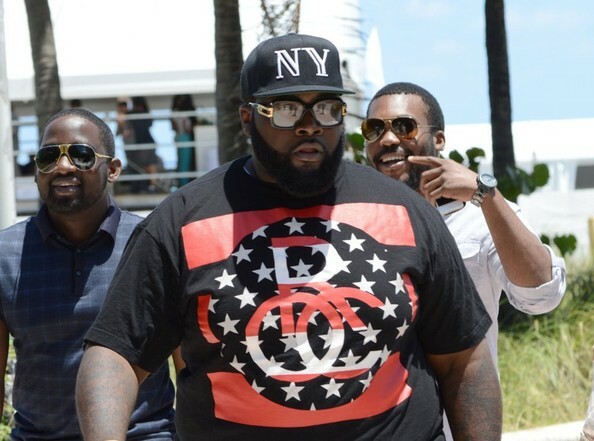 The judge decides to view Rick Ross v. William Leonard Roberts through the frame of other cases that have balanced a celebrity’s right to control commercial exploitation of his or her likeness against another individual’s right to free expression. In one famous case involving an artist who sold lithographs and T-shirts bearing the faces of the Three Stooges, the test became whether the use of celebrity likeness is one of the “raw materials” from which an original work is synthesized, or whether the depiction or imitation of the celebrity is the very sum and substance of the work in question. Here, the judge applies the test beyond visual expression. Ultimately, Judge Boren finds that the hip-hop star’s persona is entitled to protection as expressive speech because it’s transformative. Next ArticleSuspect Arrested in Murder of Rapper Doe B.